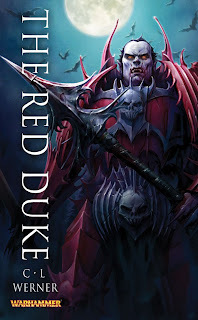 Lord of the Night reviews the latest Warhammer Heroes novel, The Red Duke by C.L Werner, author of the Thanquol and Boneripper series, Brunner the Bounty Hunter and Matthias Thulmann: Witch Hunter. Yet another novel down, and this one is a smash. The Red Duke is a great story of heroism, betrayal and revenge from beyond death. But of course things are never so clear when you deal with the troubles of the past as this novel so clearly demonstrates. C.L Werner has surpassed Wulfrik in this latest Warhammer Heroes outing, as we get a story with a hero who is a monstrous villain, and yet still sympathetic. The story of the Red Duke is a mysterious one. Nobody can remember who he was, only what he became and the cruel deeds that made him a figure of dread throughout Bretonnia. Some say he died at Ceren Field, on the lance of King Louis the Righteous and the rays of the sun. Some say he returned 500 years later and was slain finally at Ceren Field, both times his army scattered and destroyed, burnt so as to never return to the living world. But the truth is far worse, as the Duke still haunts the shadows of Bretonnia, and he will tell us the truth of what happened all those years ago. The truth of heroes and villains, of monsters and magic, and of honour and betrayal. A good cast of characters lends weight to the tale but the Red Duke stands heads and shoulders above them all. Once a great general who fought for honour and justice, loved by his family and his wife, the greatest swordsman of Aquitaine and respected even by his enemies, the Duke is now a cruel tyrant, trapped in memories of the past, reliving his cruelties that make even the Skaven and Dark Elves look kind, because even death is not an escape from the Duke’s clutches. But behind his madness lurks the mind of an extraordinary tactician and a fearless swordsman who was never bested in life. But the Duke is not alone in the narrative. Supporting characters from the knights Leuthere D’Elbiq and Count Ergon Du Maisne on their quest for revenge and atonement, the damsel Iselda who aids them with the powers of the Lady, and on the Duke’s side the necromancer Renar whose advice may be the key to the Duke’s triumph over Bretonnia. These characters are well written and we see just how important honour is to a Bretonnian through Leuthere and Ergon, and a very dark side to Bretonnia is illuminated through this. The best action of this series comes from the threat of the undead. There’s plenty of sword battles, displays of powerful magic and no Bretonnian novel would be complete without a knightly cavalry charge, lances tearing into the enemy and the thunderbeat of hooves. But the fearless forces of the undead meet all of these without pause, fighting from the will of their master and the unlife infused into them. But we also see the weaknesses of the undead, and while they are a potent force, they are far from the perfect warrior. The pacing of the story is very good. Each chapter begins with a flashback to the Duke’s past, this keeps the narrative ordered as the story doesn’t break into flashbacks randomly but rather keeps an ordered pace as each flashback links with the others to reveal what truly happened five-hundred years ago. The atmosphere really feels like a vampire movie, you can just picture the Red Duke in black and white as he regales us with the tale of his rise and fall. And the story moves at an ideal pace, keeping the reader interested the whole way through by switching narratives from past to present. The ending of the story is a great one, both amazing and disappointing, not for quality I assure you! But for the actions of characters who such hopes were placed upon. We see that a Bretonnian values honour, but the value they place on honour is so great that any pragmatic or practical man would be utterly horrified at their folly. And the Duke still stalks the shadows, where he is bound and what he will do are a mystery, but for now all that matters is that we know the truth of what happened so many years ago. I give The Red Duke a 8.7/10 for a gripping story, characters who enthral you with their stories, and a hero who may have been relatively unknown before this, but hopefully soon will become as well known to readers as Nagash, Malekith and Archaon. And all the while we see just how bad Bretonnia was, is, and always will be. Should you buy this book? Any fan of Bretonnia (If there are any) will enjoy this novel, as will any fan of the Undead and the Vampire Counts. But for general fans of Warhammer its another question. But the answer is the same. 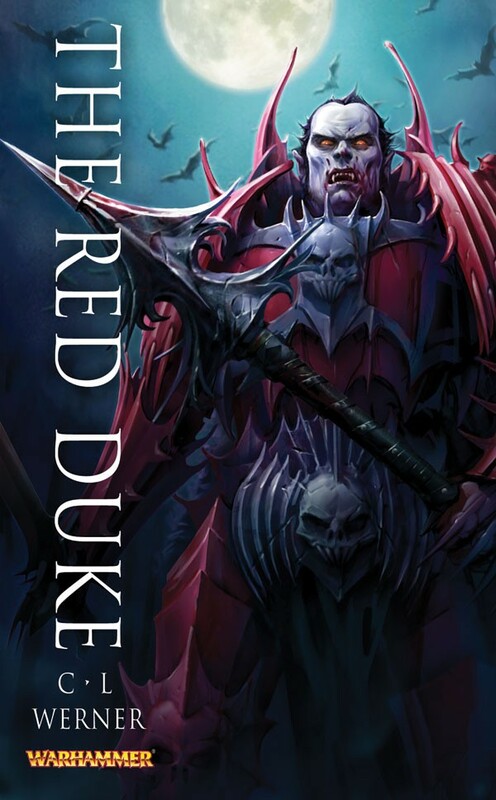 Yes, I think this is the best of the Warhammer Heroes novels yet and any fan of Warhammer will definitely enjoy The Red Duke.